This is a common question attorneys are asked, and it’s a concern for most potential clients. After you’re injured in a car accident, many people are worried about how to get their car fixed, how to pay their medical bills, and how to make up for the time they’ve had to take off work. Hiring a personal injury lawyer to represent them for fair compensation probably seems out of reach. But the truth is, it’s not. We will be transparent about our fees. You will know what percentage of the settlement will come to us, and that won’t change. 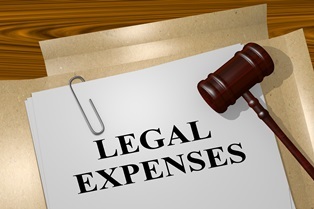 Additionally, our fee will never exceed your recovery. We will work hard to get you the maximum possible settlement. Because we don’t get paid unless we win, we are highly motivated to be successful. We will also fight on your behalf to reduce what you may owe your insurance company and medical providers. All of our services—investigating the accident, negotiating with the at-fault driver’s insurance company, taking your phone calls and answering your questions and even going to trial—are covered by our contingency fee. Even with our fee, you are likely to recover more by working with us than by working alone. We know how to negotiate with insurers and how to negotiate fair compensation for you. After you’ve been injured in a car accident, you want to focus on your health and well-being. By hiring Parker Law Firm, you can leave everything else to us. We will fight for the settlement you need and deserve, and there are no hidden upfront costs. Connect with us today to schedule your free, no-obligation consultation. Should I sign medical forms the adjuster wants me to sign? The answer is no. While an insurance adjuster may make it seem like signing these documents is a necessary step in your claim for compensation, it is not. 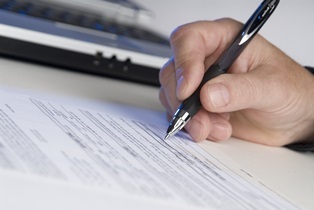 In fact, signing these forms could actually jeopardize the success of your claim. Our advice is to not talk to an insurance adjuster or sign anything until you have spoken with an attorney. Bedford attorney Brad Parker will be more than happy to explain what you should and should not sign when you meet for a free consultation. In the meantime, here are our general guidelines for the medical authorization form. What Will I Be Asked to Sign? Revealing prior medical history. If given access, the insurance adjuster will scour your entire medical history looking for previous injuries that are similar to your current injuries. He could then use this to claim that it was not the accident that caused your injuries, but that you had a pre-existing condition. Releasing your private statements to doctors. 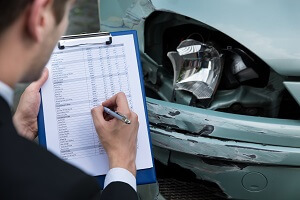 The adjuster will also look for inconsistencies in your statements about the accident and your injuries. If he finds that you altered what you said to any of your doctors at different times, he could use this to undermine your claim. Establishing a pattern of doctor visits. Given your entire medical history, the insurance company could try to show that you were generally fragile or unhealthy before the accident and discount the seriousness of your current injuries. There is no reason for the insurance company or anyone else involved in your car accident claim to have access to your entire medical history. To get the maximum settlement to which you are entitled, you will have to present a strong claim that proves the other driver’s liability and establishes the seriousness of your injuries. To establish these injuries, you will need to provide certain medical records but not all of them. Attorney Brad Parker knows how to build a strong case and will give you sound advice about releasing medical records and signing authorization forms. Contact our office today to learn more. Life can quickly become very confusing following a car accident. You may need emergency medical treatment, the police will ask you questions, you will have to take care of your damaged car, and soon after, you will be contacted by an insurance adjuster for the at-fault driver. It’s important to understand why you shouldn’t speak with him. You may be required to notify your own insurer when you are in an accident. If so, or if you aren’t sure what your policy says, you should inform your insurer about the accident within 72 hours. This is especially true when there are injuries and/or significant property damage as a result of the accident. 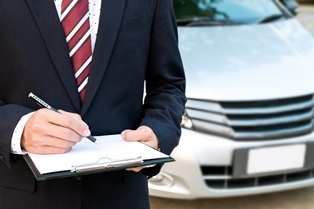 You do not have to provide details, and you should never admit fault—even to your own insurer. The adjuster is hoping to avoid paying out on his driver’s policy by passing fault for the accident to you and your insurer. He will do his best to get you to admit that you did something to contribute to the accident. Insurance adjusters use tricks to confuse and scare you. For example, they may attempt to make a quick settlement, give you an arbitrary deadline for accepting the settlement or say that you don’t need a lawyer. Even if you give only facts, you may say something slightly different later on, and the adjuster will use this to raise questions about your credibility. Texans are raised to be polite, but now is not the time to use your best manners. Even a casual “I’m sorry” can be used against you later on. It’s best not to speak to the other insurance company at all. To protect your claim for compensation, the first person you should talk to following a serious injury accident is car accident attorney Brad Parker. He will take over all communication with both insurance companies, the police, the other driver, and anyone else who may be involved. Call Parker Law Firm for help with your car accident injury case. When you suffer a serious injury in a Texas motor vehicle crash, your first question may be, “How much is my case worth?” You may wonder if all of your medical bills, lost wages and other costs will be covered by the settlement, or you may feel unsure if it’s worth it to hire a lawyer and pursue the at-fault party. 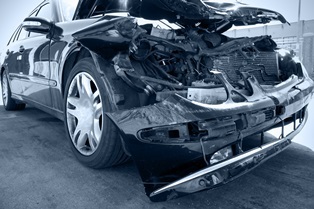 Moving forward after an accident, it’s important to understand how your case might be valued. Trucks. 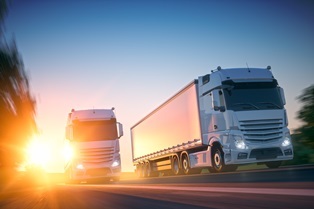 When you are injured in a commercial truck crash, there may be multiple liable parties, including the driver, trucking company and truck manufacturer. If you suffer catastrophic injuries, this could significantly increase your damages. Motorcycles. 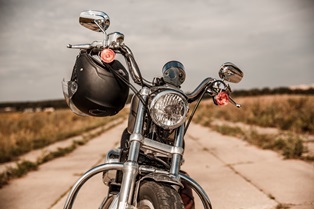 Injuries suffered in a motorcycle crash are often catastrophic, sometimes resulting in permanent disability and long-term care and treatment needs. These can increase the value of your claim. Cars. Car accident settlements are based heavily on the extent of injuries suffered and the amount of insurance the liable party has. No matter what kind of crash you were involved in, an experienced accident attorney can often negotiate for a larger settlement than you would be able to get on your own. And if the liable party is uncooperative in negotiations, an attorney can sue for damages on your behalf. When injuries are significant, it is important to wait until the extent of treatment and long-term prognosis are known before settling on economic damages. These damages are difficult to quantify, and you will need an experienced Texas accident attorney to negotiate for the highest possible damage award. In cases where the at-fault party acted intentionally or with malice to cause harm, such as by driving drunk, the judge may award punitive damages. These damages are meant to punish the at-fault party and are often significant. An attorney can argue on your behalf for punitive damages if the at-fault driver’s actions were egregious. Compensation for accidents most often comes from insurance. In the case of a negligent driver in a car or motorcycle accident, his liability insurance policy will be used to cover the costs. However if he is only carrying the Texas minimum of $30,000—or if he has no insurance at all—your losses may not be covered. In this case, you may have to look to your own auto insurance or health insurance to pay your medical expenses. Our attorneys are skilled at negotiating with not only your insurer, but with your medical care providers to reduce your costs. In the case of a commercial truck crash, the trucking company may carry up to $1 million in liability insurance. Likewise if a manufacturing defect played a part in the crash, the manufacturer’s liability policy may be used. When you work with Parker Law Firm from the beginning, you can be sure that all avenues of compensation will be pursued, and we will fight to get you the maximum possible recovery. Reach out to us today to schedule your free initial consultation. We will review your case and let you know if we can help. If we take your case, your fee will never exceed your recovery. What if the driver who hit me was uninsured? If you were in a car accident with an uninsured driver, it’s much more difficult to get money for damages. Even if you sue the driver in court, if he doesn’t have insurance, he’s not likely to have other assets that could compensate you for your injuries. That’s why it’s important to hire a personal injury attorney to help. How Will I Receive Compensation If the Other Driver Was Uninsured? Even though Texas does not require drivers to purchase insurance, drivers are still obligated to pay for any damages they cause in a car accident. Most people meet this requirement by carrying insurance, but those who don’t are still liable for your medical costs and other losses if they cause your injuries. Our legal team will first determine if the uninsured driver has other assets that can be seized to pay your settlement. However they rarely do. The next source of compensation will be your own insurance policy—specifically your uninsured/underinsured motorist (UM/UIM) coverage. This coverage must be offered by all insurance companies, and you must reject it in writing if you don’t want it. Most Texas drivers have the coverage, whether they know it or not. If your UM/UIM policy does not cover all of your medical expenses, your health insurance provider should cover the rest. After your accident, Parker Law Firm will work tirelessly to find sources of compensation, and our fees will never exceed your recovery. Additionally our team will fight to reduce the amount that must be paid back to your health insurance company and medical providers out of your settlement. These payments can be negotiable—when you have the right negotiator on your side. We will always put your needs first. Call us today to schedule a free consultation. If another driver hit your vehicle but there was limited damage and no apparent injures, you may be tempted not to call the police. You may think it would be sufficient to exchange contact and insurance information with the other driver, hoping he’ll be cooperative when you need to get paid for your minor damages. However this is almost always a mistake. It’s important to contact the police and obtain a copy of the police report. Hidden injuries. Symptoms of some injuries, including traumatic brain injury, back and spinal injuries and mild internal bleeding, can take days or longer to develop. Once you start experiencing them, you could discover that your injuries are much more severe than you initially thought. Some of these injuries can be caused by a “minor” accident. You want to strengthen your potential claim for compensation by contacting the police immediately after the crash. Incorrect insurance information. 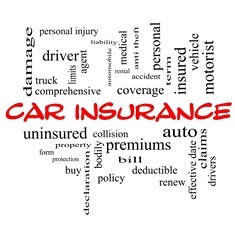 The negligent driver could provide you with incorrect or expired insurance information. Although he might give this information to the police, too, the officer will be able to provide you with accurate contact information for the driver and witnesses, investigate the crash and write a report. You will need this information if you have to file a claim. Changed story. As part of his investigation, the police officer will take the other driver’s statement, as well as your own. It will be harder for the negligent driver to change his story and claim that you were at fault if he gave a statement at the accident scene. Expensive property damage. Vehicle repairs are expensive, and yours may cost more than you think. Depending on how long it will take to complete the repairs, you may need to rent a car. 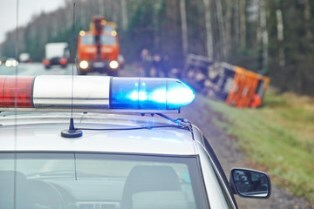 If you later decide to file a claim with the negligent driver’s insurance company or your own, it will be helpful to your claim to provide the adjuster with a police report. If you or a family member suffered injuries in a car accident, you need to hire an experienced car accident attorney before accepting any settlement from the negligent driver’s insurance company. To be certain that you receive what you deserve, call the Parker Law Firm to schedule a Complimentary Strategy Session to get your questions answered and discuss your options for compensation.